The WTO Doha negotiations have stalled for years. And yet, free trade agreements (FTAs) continue to be pushed in bilateral negotiations by the USA and the EU with developing countries and emerging markets. Importantly, these FTAs no longer only concern trade in manufactured goods, but now also include issues of intellectual property rights, trade in services and investment. Unsurprisingly, the tensions within the international labour movement persist. In this contribution, I will discuss the obstacles but also possibilities for establishing transnational solidarity in relation to tensions over trade liberalisation. In order to understand such tensions over free trade policies, the historical dynamics of capitalist accumulation need to be conceptualised. In a liberal understanding of capitalist development, free trade is regarded as a win-win situation, a positive-sum game. As David Ricardo famously argued, if every country concentrates on producing and exporting what it is best at, i.e. on its comparative advantage, and imports all the other necessities, everybody would benefit as a result. [ii] Neo-liberal economic thinking about the extension of free trade in times of globalisation builds on this understanding. States should refrain from intervening into the economy and instead should deregulate and liberalise markets, including the labour market, in order to facilitate free trade. If developing countries open up to free trade and foreign direct investment, development would follow and allow them to catch up with developed countries. Workers in industrialised countries have been predominantly employed in high value-added, high productivity production processes. Moreover, from 1945 onwards they have made significant achievements within national social pacts. In exchange for accepting capital’s prerogative over the organisation of the work process and the private ownership of the means of production, they were allowed to participate in increasing profits through rising wages and expansive welfare states. Increasing exports through FTAs implied directly secure jobs and higher wealth levels for workers. In contrast, workers in the Global South have not experienced these positive dynamics. They have mainly been integrated into the global economy as exporters of agricultural goods and raw materials. Where there has been a diffusion of manufacturing especially since the 1970s, it has often been in the area of labour-intensive industries characterised by low productivity. Even China, often hailed as a success story of development by liberals, continues to rely on its vast army of cheap labour in order to remain competitive. Moreover, while the importance of manufacturing output in economies in the Global South has converged towards that of industrialised countries, this has been in a declining sphere of economic activity. With services becoming ever more important for the generation of wealth, it is no surprise that income inequalities between developing and developed countries have remained. At the global level, therefore, free trade links countries in the core, which export high productivity/high value-added goods (and increasingly services), with countries in the periphery, the exports of which are based on low productivity. As Ernest Mandel argued, “on the world market, the labour of a country with a higher productivity of labour is valued as more intensive, so that the product of one day’s work in such a nation is exchanged for the product of more than a day’s work in an underdeveloped country.”[v] Hence, countries in the periphery have become locked into relations of unequal exchange in which surplus value is transferred from the periphery to the core. This has resulted in an intensified polarisation between countries in the core and countries in the periphery. In short, capitalist development has been highly uneven and so-called ‘free trade’ policies have extended this unevenness. Free trade is only one component in the process of uneven and combined development. And yet, especially after the expansion of the trade agenda during the General Agreement on Tariffs and Trade (GATT) Uruguay Round and the WTO Doha negotiations into areas of intellectual property rights and trade in services and investment, free trade has taken up an ever more central position in the current attempt to continue the accumulation of surplus value on a global scale. In a way, the expanded free trade agenda is a mechanism of reconstituting the exploitative relationship between the core and periphery. As a result of this unevenness, different national trade unions are in different positions within global capitalism. Unsurprisingly, although workers from around the world are exploited in capitalist social relations of production, this does not automatically imply that it will be in their immediate and obvious interest to join forces. Transnational solidarity between national labour movements in relation to free trade policies is anything but automatic. As indicated above in the example of the WTO Doha negotiations in 2008, this expanded free trade agenda has led to tensions within the global labour movement. On the one hand, trade unions in the North, especially in manufacturing, have supported FTAs. They hope that new export markets for products in their sectors will preserve jobs. On the other hand, trade unions in the Global South oppose these FTAs since they often imply de-industrialisation and the related loss of jobs for them. As a result, transnational solidarity is difficult to achieve. The related strategies include both cross-border co-operation with trade unions as well as alliances with other social movements. Thus, they, provide the basis for a common consciousness at the transnational level. Hence, as a result of concrete struggles against free trade initiatives in the Americas, labour has moved towards transnational solidarity. Such forms of transnational solidarity may in turn provide the basis for developing new ways of trade organisation between countries. The Bolivarian Alliance for the Americas (ALBA), for example, is already one practical example in this respect. When it began in 2004, it was a treaty between Venezuela and Cuba with the former providing petroleum to the latter at very favourable prices in exchange for doctors and teachers from Cuba, working in some of Venezuela’s poorest states. Direct negotiations between the two countries had replaced a reliance on prices set by the market. Global North and Global South, core and periphery are not fixed categories, but are constituted and re-constituted by concrete social relations. In response to the global economic crisis, working relations are increasingly becoming informal in industrialised countries too. There is also an increase in low-wage service sector jobs. In other words, the traditional Global South is also emerging in the Global North - the periphery in the core - and the clear boundaries are disappearing. The realisation by workers in the North that further free trade also requires further deregulation and liberalisation in the North and is, thus, harmful to them too may provide the groundwork for more active transnational solidarity. Samir Amin, the keynote speaker at a workshop on Trade unions, free trade and the problem of transnational solidarity, held at Nottingham University in December 2011, demanded “audacity, more audacity, always audacity” in the search for alternatives, including a move towards delinking from today’s neo-liberal globalisation. This would allow nations with advanced radical social and political struggles to move towards a process of socialisation of the management of their economy. 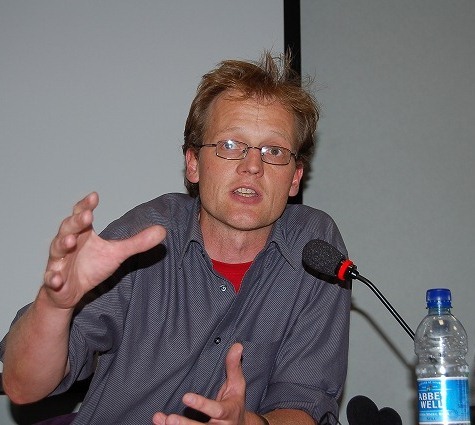 Moreover, “delinking promotes the reconstruction of a globalisation based on negotiation, rather than submission to the exclusive interests of the imperialist monopolies.”[vii] Relations of transnational solidarity between labour movements in the Global South and North are possible if such calls for audacity are heard and delinking is put into practice. [i] Bieler, Andreas (2012) ‘The EU, Global Europe and processes of uneven and combined development: the problem of transnational labour solidarity’, Review of International Studies, Vol.38: 9. [ii] Ricardo, David (1817) On the Principles of Political Economy and Taxation. London: John Murray. [iii] War on Want (2009) Trading Away Our Jobs: How free trade threatens employment around the world. London: War on Want, p.4. [iv] War on Want, Trading Away Our Jobs, pp. 5-13. [v] Mandel, Ernest (1975) Late Capitalism. London: NLB, pp.71-2. [vi] Ciccaglione, Bruno (2009), Free Trade and Trade Unions of the Americas: Strategies, practices, struggles, achievements. Vienna: Chamber of Labour, p.30. [vii] Amin, Samir (2011) ‘The implosion of global capitalism: The challenge for the radical left’, Nottingham, p.28. Samir Amin’s contribution as well as the other workshop papers are available on the Workshop website. Andreas Bieler is Professor of Political Economy and Fellow of the Centre for the Study of Social and Global Justice (CSSGJ) in the School of Politics and International Relations, University of Nottingham/UK. 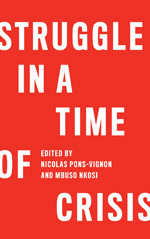 He is author of The Struggle for a Social Europe: Trade unions and EMU in times of global restructuring (Manchester University Press, 2006) as well as co-editor (with Ingemar Lindberg) of Global Restructuring, Labour and the Challenges for Transnational Solidarity (Routledge, 2010). For further details, see his personal website or his blog Trade unions and global restructuring. Anyone who has worked in an international trade union organisation has witnessed the tensions generated by international trade competition and its impact on relations between affiliated unions. The issue is by no means new. My conclusion: one should remain united on the fundamentals: on basic rights, an injury to one is always an injury to all, whatever the divisions on a particular issue; one should seek mediation of conflicting interests and concertation within the international trade union federations (their role is to manage inter-union disputes as well as to express unity); differing positions should be openly expressed and discussed, even in the media if that is necessary to promote a particular policy; one should be sincere: on trade issues, in particular, one needs to avoid an international practice of papering over differences with vague declarations, which are then ignored at the regional or national levels. That just leads to cynicism and deeper divisions between unions. It is far better to openly admit to the world that while one remains united on fundamentals and many issues, there are still areas of disagreement that need further discussion.